I have become an Apple person. The more I use their products the more I like them. I have known for awhile that Steve Jobs and Steve Wozniak, working in a garage conceived the idea for a personal computer and built the prototype of the first Apple computer. However, I knew very little more about them and how they made Apple what it is today. 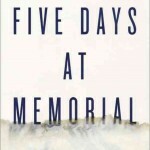 When Steve Jobs recently died in his fifties, I felt a personal sadness. They guy who was responsible for so much of my everyday efficiency and pleasure in communicating and trying to do creative things had died. 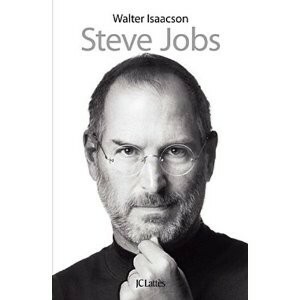 So when I learned that that Jobs had asked the well know biographer Walter Issacson to not only write his story but to pull no punches, interview anyone and have final edit on the book, I decided I was going to read it. The book met my expectations in every way. Not only did it trace the evolution of Apple, it’s products and it’s philosophy but it traced the evolution of Steve Jobs. In the end I would agree with the author that Jobs has to be rated as some kind of a genius along with Thomas Edison and Henry Ford because it was his single-mindedness that brought about so many drastic changes in so many people’s lives. But his personality was something else. The same qualities that led him to persist until he received the results that he wanted let him to treat so many important people in his life with insensitivity and at times downright meanness. As a psychiatrist I avoid trying to make a psychiatric diagnosis of someone I haven’t seen personally in some depth. Despite the report in this book of many personal conversations with him and interviews with many people who knew quite well, I don’t think I could make a diagnosis even if I were inclined to do so. Somewhere in the book someone speculated that he was on the autism spectrum and an old girl friend who was involved with the mental health profession was sure that he fit the criteria for narcissistic personality. There is no doubt that he was a unique person who interacted and befriended many people. He established what seemed to be a good marriage and loving children and even kept in contact with a child born out of wedlock and a sister, with whom he wasn’t brought up with, once they found each other. He clearly identified with the father who raised him up and interestingly enough by coincidence he met his biological father who ran a restaurant that he would frequent but never realized he was that person when he interacted with him. Just as much as Steve Jobs revolutionized our way of life in regard to how we communicate and handle information and pictures through his development of the Apple computer, he did just as much to the way we listen to music. The music industry was becoming disorganized and quite problematic as people began to move from buying CDs to downloading music on line. Initially it was through Napster and music sharing which was unreliable and essentially illegal pirating of the music since the artists and the recording companies did not receive any proceeds for their products. 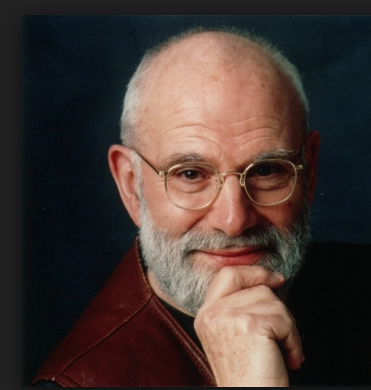 In several strokes of his genius Jobe led the development of the ipod which allowed you to listen to your music on the run ( of course the SONY Walkman had started that ), shuffle the music and most important download just about any song by just about any artist for usually .99 cents. In order to bring this about Jobs had to convince the major recording companies and their contracted artists to agree to sell their music through the istore and allow Apple to have part of the proceeds. Since the organization of the ipod was done on the Apple computer, this sold more Apple computers. Even when Apple licensed some of their software to the PC people so they could buy through the itunes, the istore Apple reaped in more profits. Then there was the story how Jobs changed animation movies through his establishment of Pixar and all his interactions with the Disney people. Issacson, in discussing the music revolution led by Apple and Jobs, chose to gain and share a good insight into his subject as he asked him an iconic question, “What is on your ipod?” Jobs’ discussion of the music that he loved in the 70s (some of which originated in the 60s) as well as tracing his attraction and attachment to more modern popular music is revealing of the man and his passions. I found particularly interesting was his analysis of two recordings of the same song by a few artists done at the beginning and at the end of their careers. The evolution of his taste and attraction to two different interpretations by the same artists reflected his own growth, maturity and outlook on life. I also loved the question put to Jobs as to if he could only preserve the original master recordings from his vault of only one artist or group who would it be? It came down to the Rolling Stones, the Beatles or Bob Dylan. You will have to read the book to find out who and why? Here’s to the crazy ones. The misfits , the rebels, the troublemaker, the round pegs in the square holes, the ones who see things differently. They’re not fond of rules, And they have no respect for the status quo. You can quote them, disagree with them, glorify or vilify them. About the only thing you can’t do is ignore them. Because they change things. They push the human race forward. And while some may see them as crazy ones, we see genius. Because the people who are crazy enough to think that they can change the world are the ones who do. I found reading the book made me appreciate my everyday Apple experience whether it is appreciating the architecture of my local Apple store or my everyday interaction with my MAC, iphone or anticipating the new products down the line. They all started with one guy and some buddies in a garage. How about that? This is a very sad book. 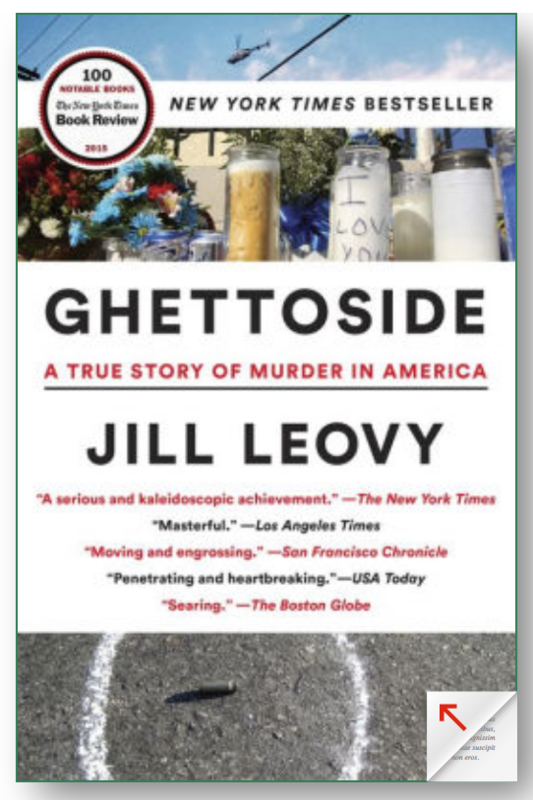 It is a story of homicide in the so-called Ghetto area of Los Angeles. Most of the victims and perpetrators are young black men and boys. Not surprisingly, these murders are often gang related, sometimes revenge for previous murder or because somebody is believed to be a “snitch”. Other times the victim was just in the wrong place at the wrong time. Many of these murders don’t even get mentioned in the newspapers or on TV. It’s not unusual for there to be a couple of murders per night in each police district. These crimes may occur in a family where there is a tradition of crime and violence. But on the other hand, sometimes the victim is a high school kid who seemed to be on verge of breaking out of this cycle of crime. 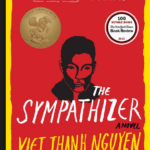 Countless families become devastated by this epidemic of murder as the author skillfully and vividly described in so many cases. At times the reader just wants to say, “Enough!” as it it is quite painful to read this book. The book is also about the Los Angeles homicide detectives and their dedication and professionalism. We see countless examples of how these detectives deal with the horror and indescribable painful situations that they have to view every day. We see their patience and empathy as they speak to family members of murder victims and often making a death notification. This reader was blown away by their ability to do this type of work on a day-to-day basis and treat each murder with care and individuality. We follow some very skillful, dedicated detectives who do their jobs with great respect for the victims and their families. The juxtaposition of getting insight into the impact of these murders on the families and the professionalism and dedication of the police homicide detectives was quite interesting. However, nothing was more dramatic and eye-opening then when one of the homicide detectives’ sons was murdered and we follow another detective as he applies his intellectual and emotional skills to follow and solve this case through the court room and final verdict. It was clear that this LAPD homicide detective did his best to bring justice to this case in the same manner that he handled all his other cases. Mary Coin by Marisa Silver– It is a safe assumption, that just about everyone reading this review is familiar with the iconic photograph which is the book cover of the novel being reviewed. You probably know it was taken in California during the Great Depression, It has become known as the “The Migrant Mother.” But who are these people? Where did they come from, what was their life like and what was it like to live in those times? Marisa Silver the author of this novel was not content with just wondering about these things. She wanted to really understand what was going on. She obviously studied the history of this time and place, She created a story that goes beyond the picture but attempts to tell us about Florence Owens Thompson whom she names Mary Coin. She also tells us about the real photographer Dorothy Lange whom she gives the alias Vera Dare. With this latter character there actually have been a couple of biographies written over past 75 years, which could have, provided some important details to draw upon. 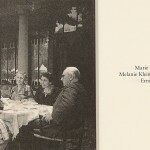 There are no tell tale remnants of the main subject of the photo other than a letter that she wrote to a magazine complaining that she didn’t think it was right that the photographer should benefit from a personal image of her and her family. 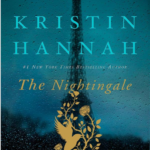 There is a third character created in this novel, which as far as I know is totally fiction. That is Walker Dodge, a college professor who studies cultural history by trying to find evidence of what people’s lives were really like in various time periods. Perhaps he is a stalking horse for the author. She does however take an imaginative poetic license in some of the plot that she develops about him. 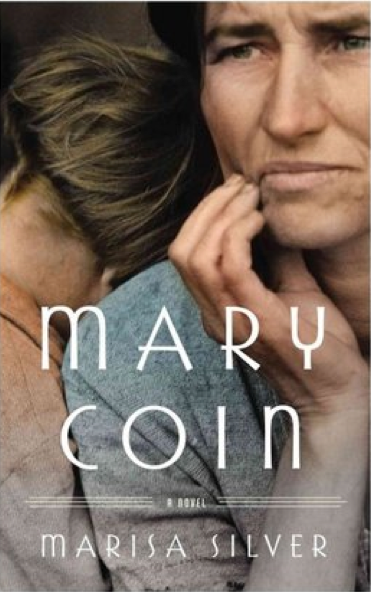 By following the life of Mary Coin we see what is was like in the Great Depression, especially among poor people but it is still difficult to get an emotional understanding of these times. 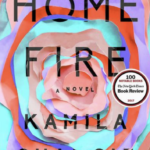 How can a modern day reader empathize with a single mother of 3 children who working all day doing hard labor in a farm field, picking crops which requires that she be bent over most of the time? What if the jobs are scarce and she doesn’t get work? What kind of medicine is available for her kids at that time period and in the midst of poverty? How do you deal with pregnancy, childbirth or abortion in the 1930s in this setting? What do sexual favors mean if they help you get food for your children? How do relationships develop in this context? The story also follows the life of Vera Dare. We meet her family, come to appreciate her life and childhood as well as the people in her life as an adult. Through the recounting of a speech that she made, we come to understand the early life of the photographer. We follow her to where she gets a job taking pictures for the government that would capture the life and poverty of that time. This is where she meets Mary Coin. This book also deals with the question of what is a photograph? What does it mean to be the subject of the picture and is there really consent in such a setting? The picture we realize is one moment in time but in this situation it really does tell a deep meaningful story with just one click. There is the unanswered question raised by the Florence Owens Thompson in the one letter that exists of her actual words as she challenges the idea that the photographer might have benefited from her plight. Ms. Lange the real photographer was working for the government and did not benefit directly from taking the picture. She obviously did so indirectly and this is part of her great legacy. The iconic photograph has captured and preserved a moment in time as all pictures do. But because this one has reached and impacted millions of people, it takes on a special significance. It makes the numerous viewers want to understand what the people in it were experiencing at the time. Ms. Silver, the author extends the value of the picture by creating a story so we can know the lives of people of the time and place of the photograph. Like so many other historical novels, by reading it we have gained an insight and empathy about the subjects who are part of our humanity. Thus we are all richer for reading this book. 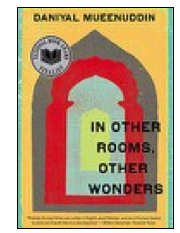 In Other Rooms, Other Wonders by Daniyal Mueenuddin – This is a book of several vignettes all taking place in Pakistan, not that long ago. It is about a place where there are modern feudal landowners and many poor people who work for them as servants, maids, sweepers, gardeners and other misc jobs. Some of the landowners are richer than others but no matter what class you are, you live your life with trials and tribulations. There is corruption everyplace. Everybody can be bought. The poor are essentially slaves to the upper class for whom they work. It is possible to get some reprise with sexual favors to the higher ups/ There is no real justice as people favor their families or people who pay them off. Stealing and lying are very common. In one story a servant girl has a relationship with the master of the house. He dies and the estranged family and the wife and children send her away. In another story a young man from Pakistan goes to college and meets and American girl. They meet his family and his mother thinks that she will never really make her so happy. She isn’t sure either. 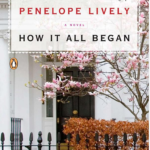 Another story tells about relationship where a promiscuous young woman is about to settle down with a stable young man whom she believes she really loves but the relationship deteriorates. We meet a poor man who barely subsists with a portable shack and has the most menial job for a great feudal lord. He improves his lot a little by the generosity of a member of the owner’s family. He finally marries a feeble minded woman and thinks he might have the semblance of family and maybe a child. He ends up with neither as she runs away. He is initially accused of kidnapping her and is beaten by the police. Eventually he returns home. His wife never returns and he dies a sad man. What can possibly be the point of these stories? Certainly it is to tell us about the essential state of slavery that has existed in Pakistan for many years. Even the good deeds by a few people at times is not shown to be consistent with any real desire of those in power to change things. Certainly those without power are shown to have very little desire or ability to change the status quo. Not being very familiar with the history of Pakistan I can only hope that there has been some radical revolutionary changes there but I suspect neither. It would be foolish to think that some unfairness only exists in Pakistan We know the history of this country about slavery and the remnants of discrimination that still exists. Despite a growing middle class we witness the lower class struggle in this country especially those who hold the poorest jobs often immigrants. So we can accept this book as more than a story about Pakistan but it still a stretch to feel that this is much of a contemporary tale of our society. It is hard to identify with the characters in these stories and overall it is a sad, depressing book which hopefully will help to keeps alive our empathic ability to change the world and establish basic fairness to all the inhabitants of this planet. 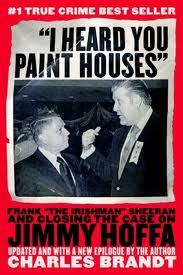 When his friend and mafia boss Russell Bufalino introduced a young Frank Sheeran to Jimmy Hoffa, Hoffa’s first words were, I heard you paint houses.” These are code words for “ I heard you do killings.” Little did any of these men imagine that many years later the last person who Hoffa would ever speak to would be Sheernan who killed Hoffa at the bequest of Bufalino. Not only did Sheeran “paint houses” but when required he could also do his “own carpentry” which means he could get rid of the body. This book is the story of Frank Sheeran as told to Charles Brandt , a former homicide investigator, prosecutor and Chief Deputy Attorney General of the State of Delaware who had prosecuted many homicides in his day. For nearly five years, Brandt gained the confidence of an older Sheernan who was in his twilight years and knew that he was dying. These interviews occurred over numerous visits, many were video or audio recorded. 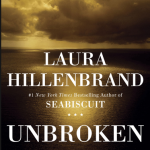 There also were a few trips that were taken by the author, some with Sheernan to locations where “things had happened.” In the 2005 edition of this book there was an epilog with statements by some of the key players including Sheeran’s daughter which gives further authenticity to some the amazing stories in this book. Sheeran grew up with a tough father in a tough Irish neighborhood. He relates an incident where he knocked out his school principal, breaking his jaw, after he was pushed around by him. He served overseas in Europe during World War II. He became a “sniper” which entailed killing lots of enemy troops. He also related that it was not an uncommon practice to kill prisoners of war in cold blood when it was not convenient to them bring them back for detention. He became a family man after the war, getting married and having children. 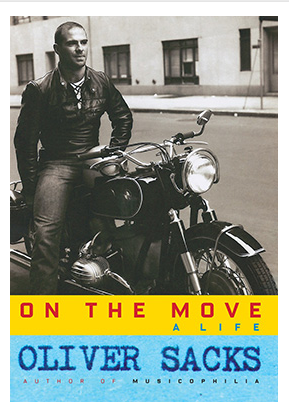 He worked as a truck driver among other jobs and became involved in the union movement. The reader learns how it was quite common for him and his co-workers to steal merchandise that they were transporting and then sell it to increase their earnings. Such activities are presented as “ just making a living”. Sheeran has a chance meeting with Russell Bufalino who turns out to be one of higher up Mafia bosses. Despite not being Italian he gains the trust of his new friend and meets many other mob connected people. When a reliable person is needed to “paint a house” Sheeran is someone who would handle the job. There were at least 20-30 such jobs including the famous hit of Joey Gallo and of course Jimmy Hoffa . The reason for the Hoffa hit, the consequences to Sheeran if he didn’t do it to one of his best friends, the details of it, and his subsequent feelings about it are all described in great detail. While not described in as much detail, there is also information about another well known hit and that is the “whacking of JFK.” It is suggested that the mob needed to take some of the power away from Bobby Kennedy who as Attorney General under his brother was after the mob. Sheeran describes how he delivered the high powered rifles that were to be used for this shooting. As is often the case, the unsuspecting triggerman is killed after a big time hit. Jack Ruby is described as a well known member of the mob who was suppose to arrange for Lee Harvey Oswald to be eliminated after he killed Kennedy. When those plans were botched, Ruby had to do it himself. 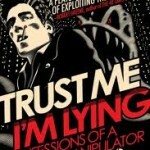 In the end so many of the perpetrators of the big time mob activities described in this book ended up in federal prison. Some were turned against each other to get time off so they wouldn’t die in prison. Sheeran served his time and apparently never turned into “ a rat” …except in this book in a more less final confession before he died. This book feels like a genuine window into the under belly of this world of crime and killings. If most of the participants were not already gone, you might almost feel that your life was in danger after reading this book for knowing all this information. Postscript: There is a rumor that Robert DiNero is on board for playing the Irishman for a film project that will make of movie of this book with Martin Scorsese directing and also starring Joe Pesci and Al Pacino. If you are to read one book about the contemporary US socio-political and economic condition, That Used to Be Us is the book to read. 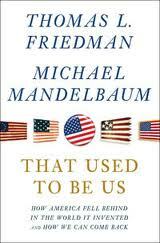 The book is written by Tom Friedman, the popular NY Times columnist and author and his good friend and colleague Michael Mandelbaum, Professor and Director of American Foreign Policy at the Johns Hopkins University School of Advanced School of Advanced International Studies who is also author or co-author of several important books. They have collaborated on a very well thought out analysis how the US is on the path to becoming a second rate country and how we can get back to the way we used to be. Each of these issues is dissected and it is shown how we have failed to adequately deal with each of them. The authors analyzed why we have been unsuccessful but they also tried to delineated the pathway that the US could follow back to greatness. Their style is one of facts and logic with numerous examples. They present their analysis with an empathic approach, which clearly comes from two people who clearly care about the country. While, I believe that they have some political bias, the book is not written from an ideological viewpoint or with a particular political agenda. They explain at this time of globalization and the IT revolution, it is essential that the country address education, infrastructure, immigration, research and development and appropriate regulations which controls each of this categories. The failure of the US to rebuild it’s infrastructure of roads, rails, schools etc. misses the opportunity to create sorely needed new jobs and the failure to recognize global warming is a missed opportunity to develop new green industries. The authors repeat a suggestion that Friedman has been making for years that an oil tax would be a significant step in making the US less dependent on foreign oil and would also facilitate the development of a valuable alternate industry in the US. They explained that the budget deficit problem has to be understood by realizing that unemployment is remaining high even with the return of a great deal of the lost productivity. This is because of the IT revolution and the ability of computers and digitization to replace many old jobs. The authors make no bones about the absolute necessity of raising taxes and reducing entitlements in a bipartisan manner. They contrast the philosophy of the “Greatest Generation.” of saving for the future and the “Baby Boomers who are borrowing from future generations. This book is geared towards the future and therefore, the discussion of education was one it’s most important contributions in this comprehensive look at Problem America. Starting off with the simple statistic that we have had zero job creations since 1999 and taking into account the nature of globalization and the IT revolution, it is no surprise that a good part of the solution is investing in education. This means valuing teachers, principals, and an education system which can not only produce students who score on world wide standardized tests but students who from an early age can learn how think innovatively and creatively. A wonderful example is given how teachers can be valued comes from Williams College. In preparation for their graduation their seniors nominate their best high school teachers. The nominees are then carefully vetted .The top twenty or so are chosen to be honored at the Williams graduation and partake in special seminars in their honor during graduation week. Other such programs are described which are examples how teachers and principals can be rewarded in intangible as well as monetary ways. I have always known that Bill Clinton is a warm friendly guy but I never have had any personal contact with him- that is up until now. This autobiography makes you feel that he is sitting in your living room chatting with you. Chatting in some detail!! In addition to his obviously very good memory for faces, people and events he also met regularly during his presidency with a person who helped record an oral history which he was able to draw upon, as well as all appointment books and official papers, along with a staff to help him. But the product is still Bill talking away in great detail – often fascinating detail about the story of his life and story of the history that he made as President of the United States. 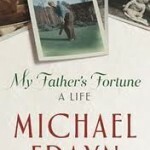 As he recounts his childhood and the early details of his life, he foreshadows his ability to connect with people and maintain them as friends. For example as a small kid maybe 5 or 6 years old in Arkansas there was a rich kid who lived across the street in a larger house . Bill was grateful that the boy’s parents and the kid were very friendly to him and invited him over to play. That kid was Mack McLarty who became his first White House Chief of Staff and one of his most trusted advisors. This story was played out time and time again as for example several of his college buddies who he met at Georgetown some of whom he met because they lived near him in his dormitory freshman year, were appointed to responsible jobs in his administration and were very special to him. Hence, the informal designation FOB – friends of Bill. While I don’t recall it was used in the book, it is certainly is a category which includes many people.. Clinton’s ability to relate, tied together with a tremendous memory, especially for people, was a great political asset. When he was running for Governor he would travel throughout the state and meet many people from all walks of life often in small towns, in diners, gas stations and sometimes in their homes. He would personally come to understand their special story along with their hopes and aspirations. When running for President about 20 years later he recognized these people on the campaign trail and reconnected with them. Of course there was no one in his early life that he felt closer to than his mother and his brother. His biological father had died before he was born. Clinton’s determination and ambition were demonstrated early in his political career. He rose quickly from Attorney General of Arkansas to Governor but was defeated in his quest for a second term . Hence the “ Come Back Kid “ as he then bounced back and was elected Governor’s for another two terms. The details of who encouraged him, who he emulated and how he conceptualized himself as a political person but yet as a person who really wanted to do things for people is all spelled out in great detail as you go on this journey with him through this book. Reading this book is also like thumbing through an old family photo album and seeing people you know well as adults, but viewing them as young people just getting started. His version of his encounter and relationship with Hillary comes across as a good friend who might be telling you about the details of the courtship with his wife. We come to appreciate the decisions that Hillary made to be with Bill and support him, long before she knew he might have such momentous success and the opportunities that would open up for her We meet George Stephanopoulos as a young untested campaign worker and of course we know how he ultimately became one of Clinton’s most trusted advisors and now is national network commentator. This story is repeated for so many familiar people. Some critics have suggested that this book may be a little too long. But the fascination of this young man who grew up to be a two term President is in the details, It is the behind the scenes discussions, strategies, encountering dirty politics around him, the excitement of coming from behind, the election evenings, crisis in the White House and so much more, is what makes this book so valuable. What also comes across in this book is Clinton’s genuine feelings for the oppressed and his desire to help people who can’t help themselves or those who are treated unfairly. 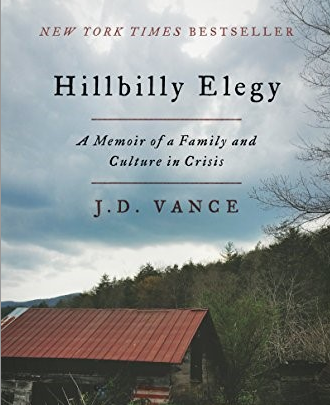 His views of civil rights clearly come form his childhood and early experiences which allowed him to appreciate the prejudices which so many blacks in his southern rural area were experiencing and which he saw as wrong. As President, when he developed programs which were going to help downtrodden people, he was constantly relating them to people he knew and could name. This was quite consistent and very impressive. Clinton’s early propensity for making and keeping friends is a recurrent theme throughout the book. Perhaps because he genuinely made good connections with people, he didn’t seem to question, as his career progressed, that famous celebrities, titans of industry and leaders of other countries valued his friendship because he was the most famous and powerful person in the world. He seems to take for it granted that the Prime Minister of Great Britain, the leader of the Russia, Princes and Kings were his good friends and that during and after his term in office he and Hillary would have dinner with them as one might be getting together with an old college buddy (which Clinton would also do). A most illustrative example of how he perhaps had a slight blind spot in this regard, is the story of Barbra Streisand and his mother. His mother was a great fan of this iconic singer. Therefore during the campaign, Clinton was thrilled when he could introduce his mother to Streisand. He then goes on to say they got along very well, became “very good friends” and they spoke weekly on the phone for many years?? 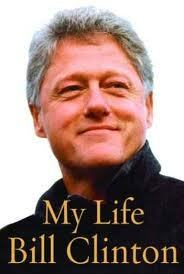 Clinton knew if he were going to write a meaningful autobiography he was going to have to write about his sexual lapses, his impeachment and how he avoided having to step down as President. He acknowledged making a great mistake in his interactions with Monica Lewinski, a White House intern, and how he tried to avoid publicly acknowledging it. He related some of the details how he dealt this his wife and daughter in the face of this great humiliation. He shared how he was forced to sleep on the couch as Hillary came to grips with what he had done. However he goes into great detail of how he believes the Special Prosecutor Ken Starr over stepped his bounds and his authorization in trying to bring down the Clintons, first for Whitewater (accusations which were never proved of impropriety related to Hillary’s work with her law firm in Arkansas) and then extending his attacks against Clinton and trying to get information which would allow Congress to remove him from the presidency. He documents in some details what he believes were very unfair and untrue accusations, which were knowingly made by Starr against him, and how people who were his friends were badly treated because they would not misrepresent the truth. This segment of his biography will someday make a great documentary, movie, book, TV program etc. and social change. He spells them out and you can feel his passion and how proud he was of these accomplishments. He also recounts in great details what could have been perhaps his greatest accomplishment but yet fell short through no fault of his own. That was peace in the Middle East. He personally worked very hard with both sides and in the end had a solution which the Israelis could accept and many of the Arab nations including many Palestinians thought was fair but for some indefinable reason Arafat was not able to sign. Years later when Arafat wanted to sign on to these same things, the pendulum had past and the opportunity was lost (at least for then) . The epilogue and any perusal of modern current events will reveal that Clinton has put his energies, his ability to raise money and his brilliance all in the service of humanity as he continues with trying to develop educational opportunities, provide treatment of AIDS and promote social change throughout the world. . It is well known that one of the ways to go down in history is to write the history. That certainly is what a President who writes an autobiography is doing. Time will tell whether Clinton was as great a president. Despite his human foibles he has presented himself and the history of his life as a wonderful model for young Americans who want to make a difference in public service. His energy, sprit and caring for others is also a life lesson which we only hope might be contagious to many of the readers of his book..
Peter Hessler is an American who joined the Peace Corps and was assigned to China in 1996. After his rotation there is decided to live in China for awhile and took a position teaching English. He has mastered the Chinese language himself and was able to speak quite well. He developed good relationships with his students and he continued to communicate with them over the next several years, often visiting them as they made their way exploring various jobs and careers. Hessler then began to travel around China himself working as a free lance journalist and eventually taking a position as the Beijing correspondent of New Yorker magazine . This book covers a time period of of 1999 to 2002. I read this book in 2010 just prior to visiting China. I get the impression from this book and others that I have recently read , that China is in such rapid transition that some of the depictions even in this book must be viewed as historical . The title of this book comes from the fact that the earliest Chinese writings were on the shells and bones of ancient tortoises. Hesler does focus on archeology for much of the book as the story of China does seem to be that of a vast country which has been searching to understand it’s complicated history and to understand where it has fit Into the scheme of the world in the past and what will the role of China be in the future. The migration pattern within the country in the past as well as in the present as illustrated by the lives of his young students with whom he tries to keep track. Their stories and the stories of their families are ones of seeking opportunity escape from poverty It should be clear to people who understand China and it certainly emerges from this book, that there are quite diverse ethnic groups in China. Hessler’s friendship with Polat a Uighur from what was East Turkestan is one such illustration. Polat’s success as a currency trader especially with the Russians is very interesting as is his decision to do a little deception ( as everyone seems to do ) and arrange to move to the United States. American readers such as this reviewer have been interested in trying to understand the Chinese political system which on one hand encourages private business but is an repressive dictatorial regime at least some of the time. Some of the times are illustrated what happened in Tiammenan Square and what happens periodically when various dissident groups try to demonstrate or speak out against the government. One case in point is the life and death of Chen Mangjia, apparently a brilliant archeologist who end up killing himself. Hessler becomes very interested in understanding this man and what happened to him. While he never quite figures everything out, his quest to understand Mangjia’s life leads to him to meet and speak with many people . His writing about this man is revealing about China. For example Mangjia apparently thought that China should stick with it’s traditional writing characters at a time that the government was considering a change to a more western style of writing ( which was never instituted ). Nevertheless, Mangjia was labeled a “rightest” by the government and was actually sent away for several years to be “educated“ He may not have been the same again and apparently committed suicide. The book ends prior to the 2008 Olympics which ended up being held in Beijing. The efforts of the country to get the Olympics to China were monumental as was the preparation for it. 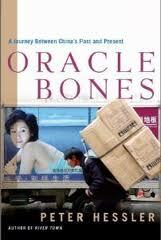 This book touches on the journey that China underwent and the potential impact expected form having the games. I wish that I had thought to have a map of China handy as I read this book. Unless you are fairly familiar with the geography of this gigantic country and know where the various cities and regions are located, it can be a little confusing . Howeve this should be easy to remedy with a good map nearby. Peter Hellser has made it very easy to share the several years of his life which he devoted to exploring and trying to understand China..The process of doing this allows the reader to begin to appreciate this vast dynamic land.